Safety First : Not all newborn photographers have proper training. Unfortunately, there are not any standard requirements to meet or safety training required in order to be a newborn photographer! Inexperienced and untrained photographers put babies in unsafe and uncomfortable positions. Make sure your photographer has had and continues to have professional training for newborns. It is important for your newborn photographer to know how to: Move and position baby’s soft joints and ligaments safely, Properly support baby’s head paying careful attention to their fragile neck, Keep baby’s body temperature regulated and Pick up on newborn cues to determine each baby’s specific needs. It is super important that the photographer use a spotter to support the baby during the entire session. Be sure to ask the photographer if they will have an assistant present at your newborn photo session. Location: Where does the session take place? Do you travel to the photographer’s home or studio or do they bring “the studio” to your home? I find that most people love that they do not have to get out of their home with their brand new baby for my newborn photo sessions. The parents are able to be comfortable in their home and rest during the photo session and the baby is not having to be unnecessarily packed up and exposed at this age. It is also helpful when siblings are able to stay in their home. They are experiencing so much change during this time as well, it is nice to keep them as secure and comfortable as possible. 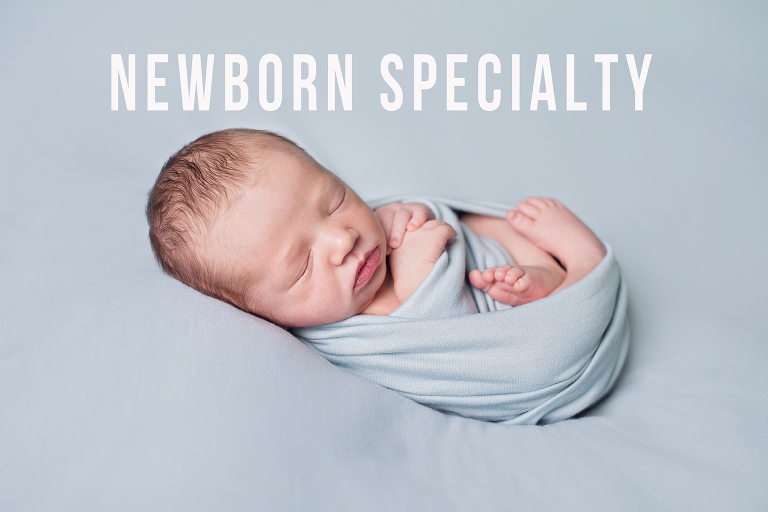 Area of Specialty: Just because someone is a professional photographer, does not mean they would be a good fit for taking your newborn images. There is much training and practice that goes into newborn handling and posing to get beautiful images of your new baby. 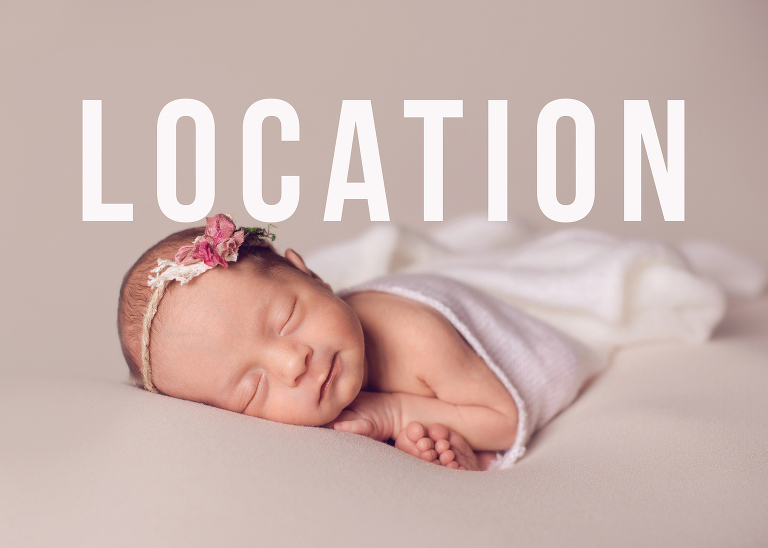 Even if you prefer lifestyle photography, the wrapping and placement of the baby is key to capturing this special time. Style & Expertise: Check out the photographer’s galleries on their websites, as well as their Instagram and Facebook pages to get a good sense of their style and expertise. Most newborn photographers have a supply of props, wraps, hats, headbands etc. available for the session. Find out what they provide. 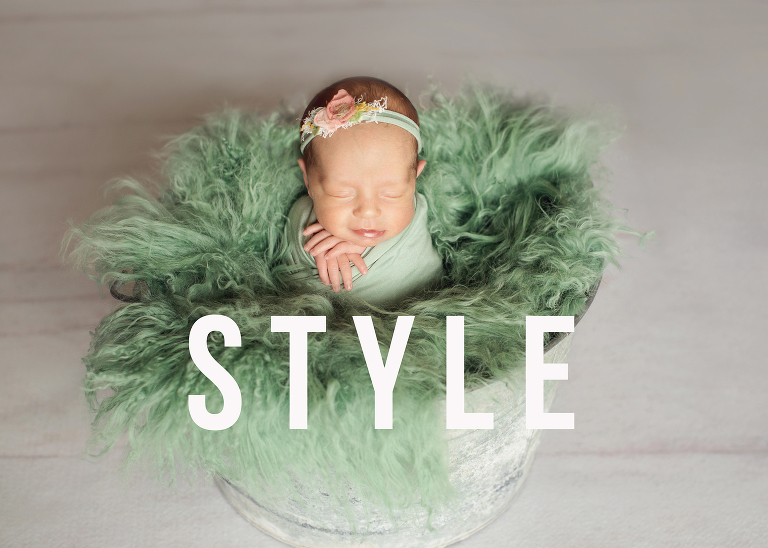 Be sure the style of photography fits your family. A great tip is to ask the photographer to see a complete gallery from a recent session. This will give you an idea of the number and variety of images you will receive from your session. Many times photographers show the one or two great shots from a session; make sure that what is shown is representative of the entire gallery you will receive. Reviews and recommendations from other families is another great way to gather this information. Asking questions and gathering this information will help you find the right newborn photographer for your family!